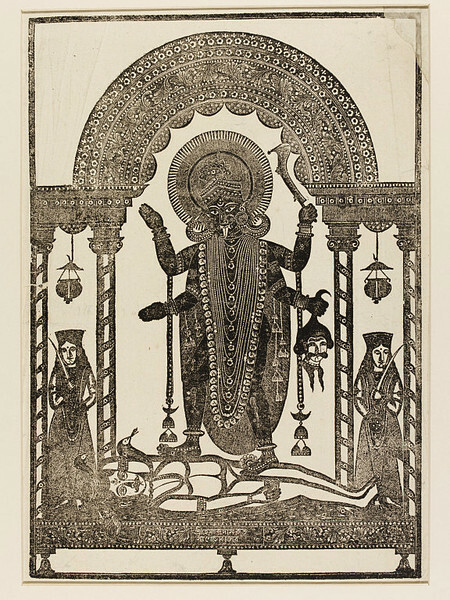 A woodcut with narrow black border, depicting the goddess Kali in traditional pose, standing on her husband Shiva and sticking her tongue out in shame at the moment of realisation. She holds a decapitated head in her bottom left hand and a sword in her top left hand. On either side of her stands a female figure with a sword.There are two inscriptions and no additional colour washes.